I will be hosting the #LTHEchat (Learning and Teaching in Higher Education) Twitter Chat at 8:00-9:00 pm Wednesday 4 May 2016 UK time (7:00 am on Thursday 5 May in New Zealand). For more information about this weekly Twitter chat, see their website. Here is the outline that I provided as an introduction to the chat session. The structure and practice of teaching and learning is becoming more like an ongoing conversation between diverse individuals in different locations around shared interests. As Joichi Ito, Director of the MIT Media Lab, says, we are moving “from a container to a network”. Educators around the world are working out how to use digital tools to open up and connect their classes to external networks in real time. Well known examples include #DS106 (Digital Storytelling, University of Mary Washington,) and #phonar (Photography and Narrative, Coventry University). 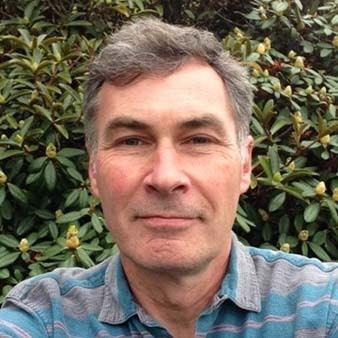 Jonathan Worth (@Jonathan_Worth), a Research Associate at Newcastle University, is currently coordinating Connecting Classes (#CClasses), a global, collaborative teaching and research project to investigate the use of Twitter in opening up and connecting classes. As well as connecting to others with shared interests over open networks, #CClasses also aims to facilitate learning that is interest-driven, production-centred, peer-supported and academically oriented, in keeping with the principles advocated by the Connected Learning Alliance. This project sparked the idea for using Connecting Classes as a topic, and a prompt, for this week’s #LTHEchat. In preparation for the chat, you might wish to check out the #CClasses hashtag and the Connecting Classes website. Dr Mark McGuire has taught Design at the University of Otago since 1994. Before moving to New Zealand, he ran Mediatrix inc, a Design consultancy in Toronto that helped publishers make the transition from analogue to digital print production from the mid 1980s. Dr McGuire holds a BA, a Bachelor of Environmental Studies (Pre-Professional Architecture), a Masters in Information Science and a PhD in Media Studies. He teaches Communication design, Design for Innovation, Experience Design, and Social Media. His research interests include open education, online communities, and digital media theory and practice.